Today's new dentures are more natural looking and easier to wear than ever before. 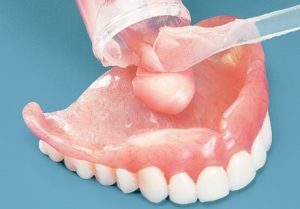 A full-set of custom made new dentures can be made if all natural teeth are missing, or a partial denture can be crafted to replace a few missing teeth. 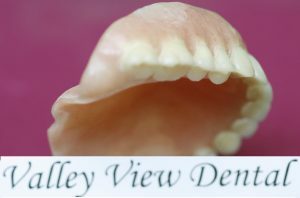 We have the experience to create natural looking and comfortable new dentures for our patients. Advances in implant dentistry can make new dentures even more functional and retentive. A special type of full or partial denture can be fabricated that will lock into several dental implant posts that are placed into the jawbone. Implant supported dentures greatly increase chewing and speaking ability for many patients. We offer 24 hour service on laboratory relines with an appointment. 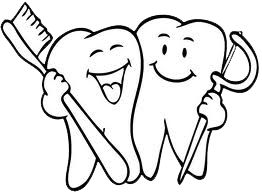 Having Dr. Irina do the work will give you a masterpiece you can shine on your friends and family every time you smile.